Neptune Hotels Resort, Convention Centre & Spa, located on the Aegean island of Kos, received the prestigious TUI Holly Award for the 14th time, in recognition of its high quality services and acclaimed cuisine. The resort ranked first on the list of Greek hotels and came in 17th among the 12,000 TUI hotels worldwide. “Firm commitment to high quality service was rewarded once again by our guests and this time with an even higher position,” said Konstantinos Zarikos, General Manager of Neptune Hotels. Neptune Hotels also received the TUI Top Quality 2017 award for the 4th consecutive year. 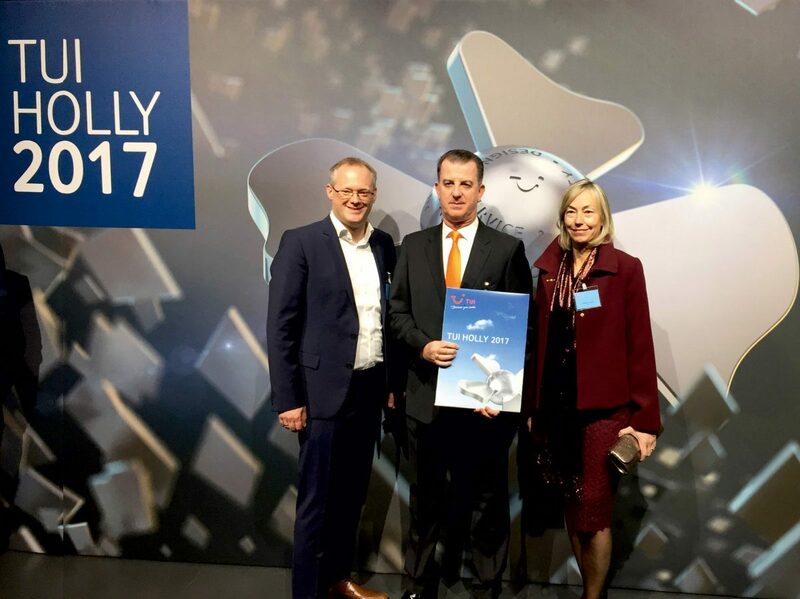 The TUI Holly award is given to the 100 most popular hotels of TUI worldwide and is based on the largest customer survey carried out for the German tourism industry. It is also considered the symbol for first-class management, entrepreneurial creativity, good leadership and high safety standards.